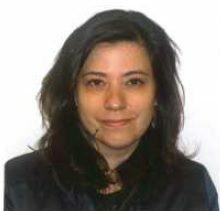 Amy Emel Muedin is currently a Migration Officer with the United Nations Office of the Special Representative of the Secretary-General for International Migration since March 2017, on loan from the International Organization for Migration (IOM). She has been supporting the process towards the adoption of the Global Compact for Safe, Orderly and Regular migration, and is working closely with various parts of the UN system in establishing the UN Network on Migration. Since 2005, Amy has worked at IOM, focusing on international migration policy within the political, social, economic and humanitarian debates of the United Nations. Working in IOM’s Special Liaison Office in New York, she was the focal point for UN-based funding, providing guidance and support to numerous IOM field missions on leveraging various UN grant mechanisms, while also fostering IOM’s institutional relationship with the United Nations. Amy completed her Master of Arts degree in International Relations and Diplomacy in 2005 at the John C. Whitehead School of Diplomacy and International Relations at Seton Hall University. She is an American national.